Time to go super small but with the design and cuteness intact! 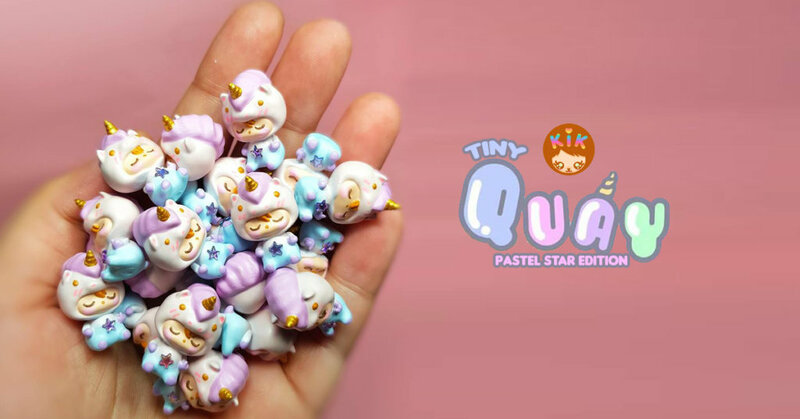 The wait is over, Kik Toyz is ready to launch her hand-painted resin Tiny Quay figures. Time to set your alarm and calendar as we predict another pandemonium release. With only 20 pcs made avible for the release, we susspect some tears of joy and tears of sorrow will happen next week. -First come first serve. Please make your comment public otherwise it will be considered invalid. **Payment within 2 days after you get confirmation from me on your inbox. **Please note that all of them are hand painted so it will be slightly different.